D segment progressively decreases its share of the total market, both in Spain and in the whole of Europe, and its clientele is increasingly geared to premium models. In this context It is updated Mazda6 after only 30 months since its launch in late 2012, increasing the perceived quality. 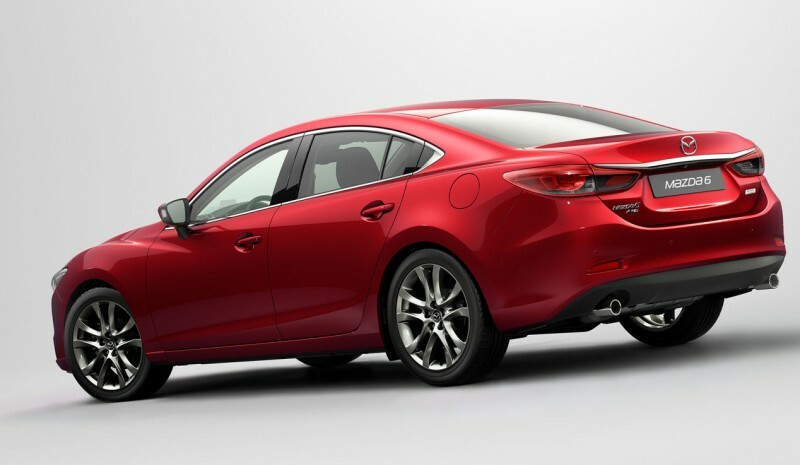 The Mazda6 is a car estimable virtues and unusual approach. Its length of almost 4.9 meters dimensionally him closer to the top class luxury saloons. But at the same time, This 4-door sedan and his brother Wagon (With some minor battle and length, but even larger trunk) They have been designed with light weight as one of its main achievements; Objective achieved in absolute terms and compared to other less long rivals. Their main engines, at least for Spain, are a 2.0 petrol 145 hp and a 2.2 Diesel 150 hp, although there is also a 2.5 petrol and Diesel 192 hp and 175 hp, both available only with automatic transmission with hydraulic torque converter, and logically increase significantly in price. There is also a 2.0 petrol with 165 hp, but not brought to our market. 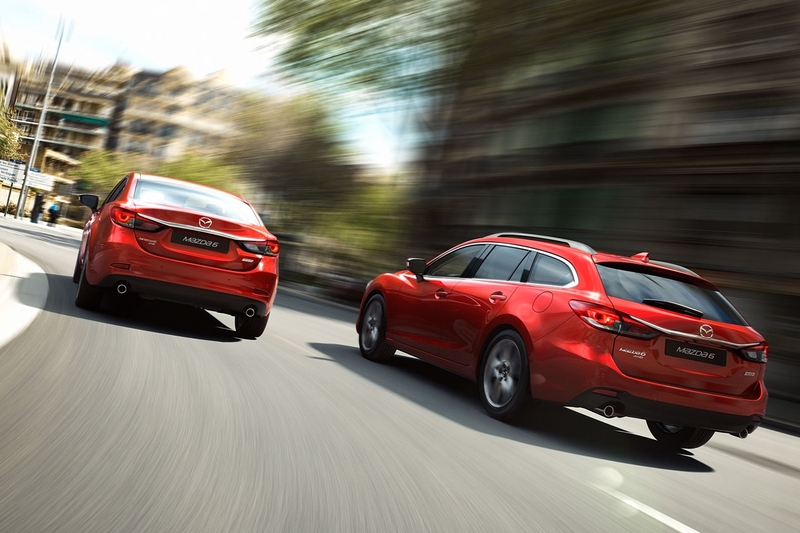 Both 'main' engines SKYACTIV name They are soft, elastic and very economical consumption. While gasoline is distinguished, among other things, its high compression ratio, the turbodiesel holds just the opposite (for a diesel) and come to agree on the figure. And the two are combined with manual gearboxes lengthy developments, that does not seem for the excellent elasticity achieved so much. 150 diesel automatic transmission can also carry the same version 175, which entails some loss of performance and increased fuel consumption. Diesel 150 and 175 hp -in body Wagon- They can be combined with an integral transmission which can be useful for those who visit ski resorts assiduously, but adding them to 60 kg and makes benefits deteriorate slightly and increase fuel consumption. 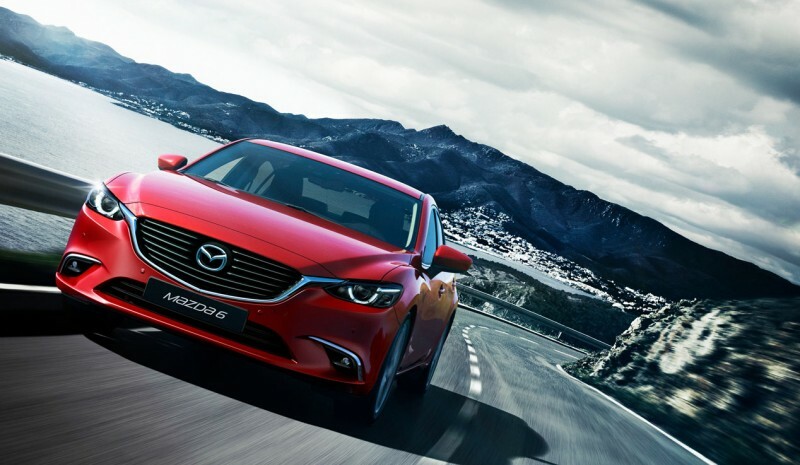 Except that mechanical transmission novelty, everything else was already true in the Mazda6 known since 2012, now aesthetically they retouched, especially on the front lights and grill, however, which continue to announce good aerodynamics (Cx 0.26); we must also note that exterior mirrors are smaller. He remodeled inner gain in presence and it has also been more careful soundproofing, with measurable results, and consistent with the overall quality of this model. 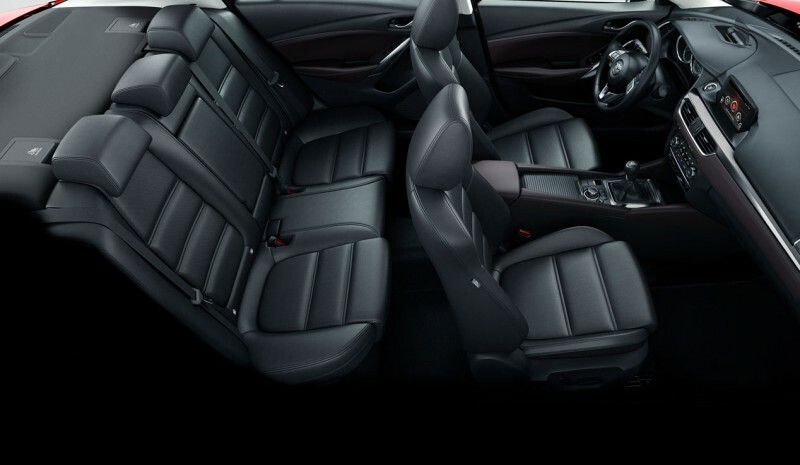 The Mazda6 are pleasant to drive, with satisfactory road behavior, good comfort, spacious interior and trunk of good capacity, better than the official figure. And their elastic motors allow excellent fuel consumption are achieved, both petrol and diesel. In addition, diesel (and gasoline engine 192 hp) have a ingenious device called i-ELOOP, It is consisting of a recovery / electric energy accumulator during braking that recharges in 10 seconds and then supplies electricity to the consumption points without having to do the battery. Only appears when parking the relative drawback of its notorious length. As for his prices, what in practice starting with 22,000 euros for version 2.0 of 145 hp Termination Style, They benefit from general discount of 3,500 euros, incentive of 1,590 euros to finance for the brand, and in the latter case extended warranty to 5 years / 150,000 km, instead of the 3-year / 100,000 km. They have also provided other free packs of release. The diesel version of 150 hp, the defendant, would have a starting price of 27,675 euros, but that advantage by funding would leave the figure at around 26,000. The 'basic' termination Style and includes many useful details, as dual zone climate control, 17 "wheels, witness tire pressure, cruise control, light and rain sensor system, brake assist, trip computer, rear seatback folding in three sectors (and surface resulting load completely smooth), electric parking brake and touch screen 7 "multifunction thumbwheel. On the other hand, the standard configuration is with antipinchazos kit without spare wheel; and recommended emergency spare wheel is an accessory charge and paid separately. Style + version adds directional LED headlights, parking sensors, control and warning blind rear traffic. In the top version Luxury appear the Head Up Display, Adaptive LED headlights, navigator (optional on others) detector fatigue, warning lane change, Bose sound system, sunroof, heated front seats, rear camera or wheels 19 " . Ciepła, dżemy … Jak uniknąć przegrzania silnika? Volvo XC60: prøve en ny SUV med alt det bedste af XC90!